There’s something about summer whites, that have got me completely gaga this season. I can’t get enough of them. I’m still on the hunt for the perfect white dress (let me know if you find it!) 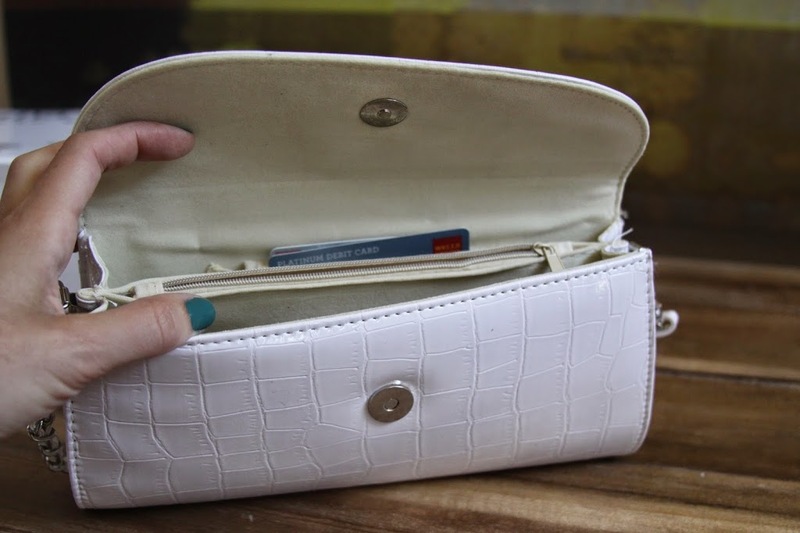 But I’ve recently found a great little white crocodile print clutch bag I’m taking everywhere with me this summer! This bag not only makes your outfit pop, thanks to the lovely white, but looks good on your arm with almost anything you’re wearing. Thanks to the two different sets of straps it comes with, including a gorgeous chain detail strap, it makes it perfect to tote around for day, or tuck the strap away like I did here for a your night out! I tend to be really picky when it comes to bags too. 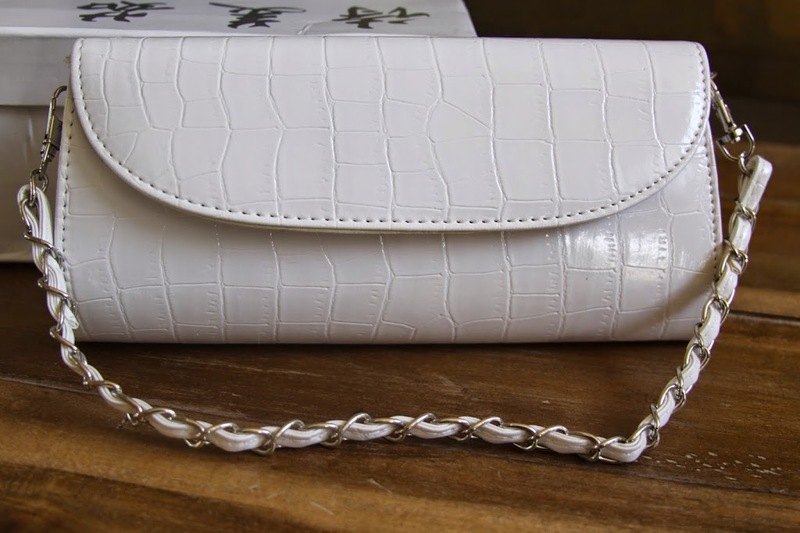 I hate a bag that looks cheap, so I normally steer clear of bags or clutches that are substantially marked down, but I couldn’t believe the high quality of the clutch when it showed up at my door, because it only cost $10! Yes I’m dead serious, only $10 from Tidebuy! This Cool Retro Fancy bag is the perfect size to tote around the essentials, your cell phone, lip gloss, cash, card, and ID, and more! See below to see how my night time essentials fit in there just fine! Not only that, but you get a nice zipper pocket in the middle perfect for tucking away cash so you won’t be sure to lose it if you take this lovely little clutch out with the girls and have a few too many drinks, like I did. This clutch held up through the night no problem, and also had a nice little zip size pocket perfect for my ID and card, so I didn’t have to worry about losing them either! Even though its white, this bag is sturdy and if you do unfortunately get a little dirt on it, the glossy exterior makes it super easy to just wipe it right off! The bag is amazing and rivals $100 clutches I’ve bought in the past! When you look over the texture, the chain straps, and the stitching, there is now way any one would ever guess you only spent $10 on it! This bag absolutely blew my mind! For as inexpensive as this bag is, you absolutely can’t go wrong with adding it to your collection! So what are you waiting for? Pick it up from Tidebuy.com today! * I was given this product for the purpose of review, however, all thoughts and opinions expressed in this post are solely my own. I only share reviews with my readers I feel will be beneficial or informative to them in some way. Awe thank you so much Joy! That is so nice of you to say! xo xo Thank so for all your support! That clutch is gorgeous indeed. But you know what I’m also loving? Your aztec skirt!! absolutely gorgeous, i love clutches, this will go with anything too! Very cute! I am terrible with white though…lol! You are beautiful! Great style! This is beautiful, affordable, and could be dressed up or down! I love a good clutch. This is white so it could go with every look. Also, you could fit in your regular purse and use it as a wallet and just take it out when you need to run in somewhere! I love clutches because they can hold all your essentials and it fits in your hand. 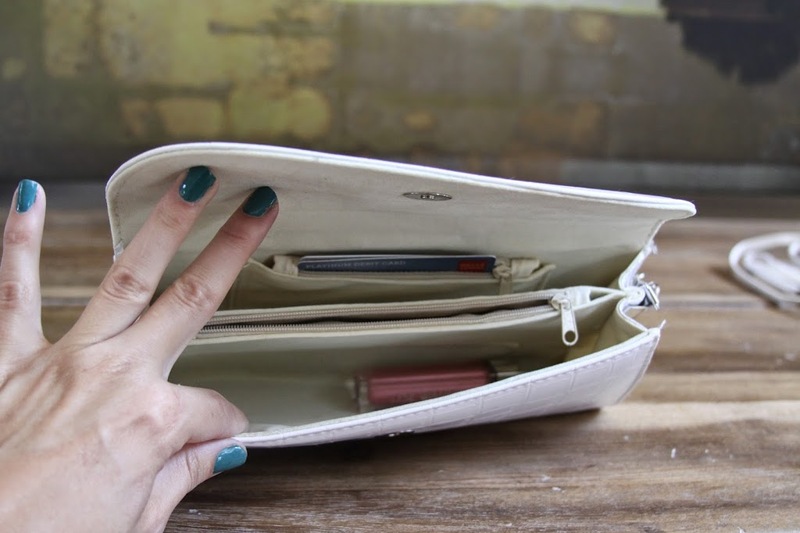 You can use it as an everyday purse or just a night out! Nice clutch! I can’t believe it was only $10. That’s amazing! You are so beautiful! Great outfit! Purses and shoes are the 2 things I don’t like to skimp on because I want them to always look nice. This one looks really nice but affordable! 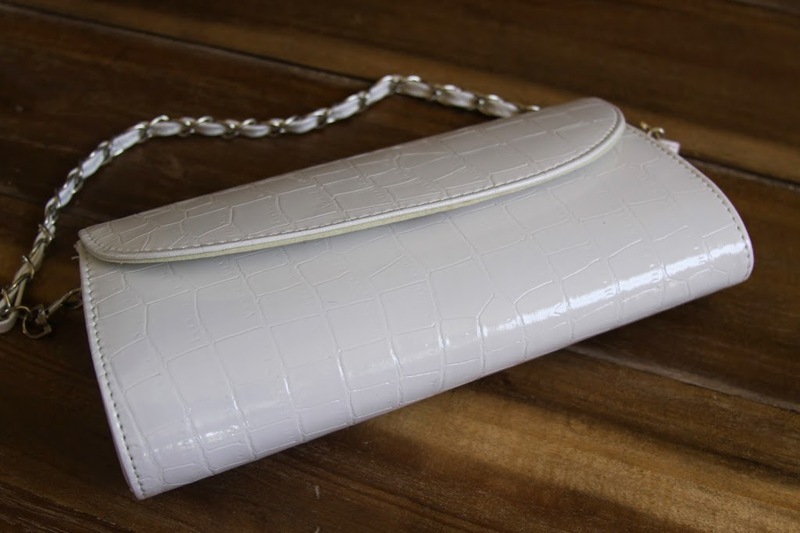 Everyone can use a good clutch, especially a white one because it can match practically any outfit!